To enter, individuals are encouraged to visit united.com/HerArtHere and submit a design idea, examples of their work portfolio along with a short video by March 24, 2019. Submissions will be judged and narrowed down to three finalists by a panel of judges from each region, led by each region’s president, Janet Lamkin in California and Jill Kaplan in New York/New Jersey from March 25 – April 9, 2019, followed by a public vote from April 10 – April 19, 2019 to determine the winning artists from each region. Finalists and winners will also receive their own open gallery show, have their art work on display inside United Airlines terminals through 2019 with their works available to purchase and they will also be awarded 100,000 MileagePlus award miles. The final designs will take flight this fall. This entry was posted in United Airlines and tagged United Airlines on February 28, 2019 by Bruce Drum. Air Italy and Bulgaria Air have entered into a code share partnership to offer customers enhanced connectivity between Bulgaria and eight major destinations in Italy, with effect from today. Under the agreement, Air Italy’s “IG” code will be placed on Bulgaria Air flights between Milan Malpensa and Sofia, Varna and Burgas, which are all on sale from today with the first flights available from March 31st. At the same time, starting with the new summer IATA season, Bulgaria Air will put its “FB” code on Air Italy flights between Milan Malpensa and Rome Fiumicino, Naples, Olbia and Cagliari (Sardinia), Palermo and Catania (Sicily), and Lamezia Terme (Calabria). Moreover, thanks also to the interline commercial agreement, Bulgaria Air’s passengers will benefit from single tickets for travel between Bulgaria and Air Italy’s US, Canada and Africa destinations operated from Malpensa: Miami, New York, Los Angeles and San Francisco (both from April), Toronto (from May), Cairo, Dakar, Accra and Lagos. This entry was posted in Air Italy (3rd), Bulgaria Air and tagged Air Italy (3rd), Bulgaria Air on February 28, 2019 by Bruce Drum. Ryanair on February 26 launched its Irish Winter 2019 schedule, with 119 routes in total, including 2 new routes from Dublin to Milan and from Knock to Tenerife, and 10 new winter services to exciting connections such as Dublin to Kyiv and Cork to Malta. Irish consumers and visitors can now book their holidays on 119 routes as far out as March 2020. In other news, Ryanair also announced a new London Stansted route to Venice Marco Polo, which will operate four times weekly commencing in October, as part of Ryanair’s London Stansted Winter 2019 schedule, which has a total of 119 routes. Finally, Ryanair also announced a new Manchester route to Milan Malpensa, which will operate four times weekly commencing in October, as part of Ryanair’s Manchester Winter 2019 schedule, which will be launched shortly. This entry was posted in Ryanair and tagged Ryanair on February 28, 2019 by Bruce Drum. More options, choice and comfort are on the way for Delta customers traveling to and from top Asian destinations at its Seattle-Tacoma International Airport hub beginning July 1. The Airbus A330-900neo aircraft also reduces the travel carbon footprint, with increased fuel efficiency per seat of more than 20 percent when compared with previous generation aircraft. Delta will offer its flagship Delta One Suite and Delta Premium Select products on three aircraft types including the A350 and updated Boeing 777s. On March 1, Delta will begin operating its Seattle/Tacoma-Tokyo-Narita route with Airbus A350 aircraft, featuring Delta One Suite and Delta Premium Select options. Delta currently operates the Boeing 767-300ER on Seattle/Tacoma service to Shanghai and Seoul-Incheon. Delta will also begin operating two of its six daily flights between Seattle/Tacoma and San Jose, California with its new Airbus A220 aircraft. Delta operates more than 150 peak-day departures to more than 50 destinations from its hub at Seattle-Tacoma International Airport. Below Copyright Photo: Delta Air Lines Airbus A350-941 N504DN (msn 160) LAX (Michael B. Ing). Image: 944036. 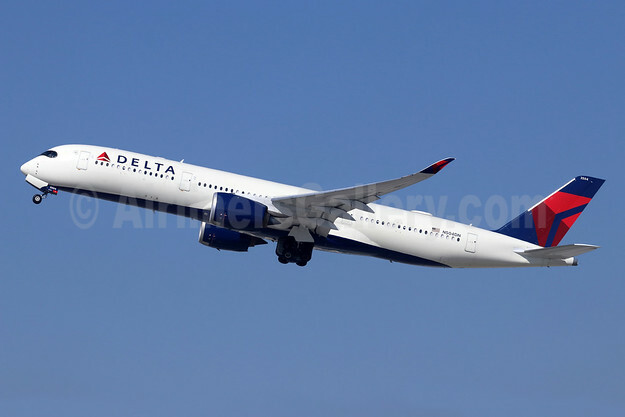 This entry was posted in Delta Air Lines and tagged Airbus A350-941, Delta Air Lines, msn 160, N504DN on February 28, 2019 by Bruce Drum. JetBlue Airways has announced the next phase of growth at Logan International Airport (BOS) as it advances toward its goal of 200 daily departures in the coming years. Beginning this summer, JetBlue will add more flights on twelve popular routes while also expanding or adjusting schedules to offer hourly service to Washington, D.C. and the New York metro area. The move, which will benefit both leisure and business customers, is the latest in a series of growth announcements in Boston where JetBlue flies to more nonstop destinations, operates more flights and serves more travelers than any other airline. With JetBlue’s low fares and award winning service on even more daily flights between Boston and these key markets, the airline advances its leadership position in New England and makes JetBlue’s Boston focus city even more accessible to travelers across the eastern half of the U.S.
JetBlue is also introducing enhanced schedules between Boston and two top northeast corridor business markets: Washington and New York City. JetBlue is adding up to four additional daily flights between Logan and D.C.’s Reagan National Airport and will adjust its schedule to offer near-hourly weekday service – from 6 a.m. until 9:30 p.m. – between New England and the nation’s capital. 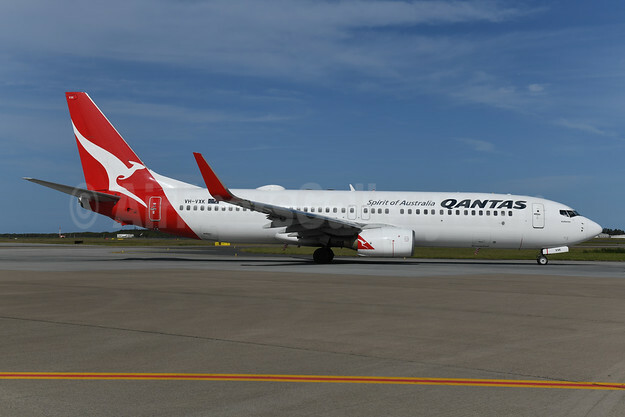 The new service – with Boston flights departing at the top of the hour – is aimed at meeting the growing demand for travel between the two cities while also offering a customer-friendly, straight-forward departure schedule. Flights will be phased in beginning this summer with new flights on sale starting this weekend. 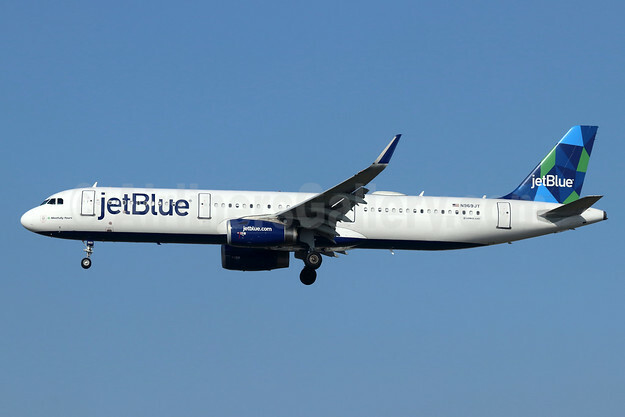 Similarly, JetBlue will also introduce near-hourly weekday service between Boston and the New York metro area with service between approximately 5:30 a.m. and 10 p.m. Logan flights will depart at the bottom of the hour for one of the three major New York area airports: John F. Kennedy International Airport (JFK), LaGuardia Airport (LGA) or Newark Liberty International Airport (EWR). As New York’s Hometown Airline®, JetBlue’s unique service pattern is designed to meet the needs of travelers flying between Boston and anywhere across the New York metro area, whether it be Manhattan, the outer boroughs, Long Island or northern New Jersey. The flight schedule between New York and Boston will be phased in beginning this summer with new flights on sale starting this weekend. JetBlue first started service in Boston in January 2004, with 30 crewmembers, just one gate and 4,500 flights in the first year. But with the ‘JetBlue effect’ in action, the innovative airline shook up New England with its low-fare approach, driving down prices and introducing new nonstop destinations for Logan travelers. Today, JetBlue – with award-winning service featuring the most legroom in coach (a); free Fly-Fi, the fastest broadband internet in the sky (b); complimentary and unlimited name-brand snacks and soft drinks; free, live DIRECTV® programming and 100+ channels of SiriusXM® radio at every seat – carries more customers than any other airline in Boston, operates nearly 55,000 annual departures at Logan and offers nonstop service to more than 70 destinations throughout the U.S., Caribbean and Latin America. Boston is also home to some 3,400 crewmembers. Beyond the numbers, JetBlue has also helped bring new gates to Logan’s Terminal C, added the airline’s award-winning Mint premium service with lie-flat seating on a variety of routes, and introduced an array of unique destinations not served by any other airline – including recently launched flights to Havana, Cuba; Steamboat Springs, Colo.; and Palm Springs, Calif.
Later this year, JetBlue will take delivery of new, fuel-efficient A321neo aircraft, bringing another wave of cabin and comfort improvements along with additional range capabilities. Then, starting in 2020, JetBlue will also steadily replace its Embraer E190 fleet with the larger and more fuel-efficient Airbus A220, providing more seats in the market at a lower operating cost, and an improved onboard experience. JetBlue has also built a rich portfolio of agreements with other international airlines at Logan that help connect customers to global destinations. Travelers can connect to cities around the world on JetBlue partners such as Emirates, El Al, Aer Lingus, Etihad Airways and Qatar Airways. JetBlue’s commitment to Boston extends well beyond its presence at Logan. JetBlue is a proud sponsor of the Boston Red Sox, the Boston Celtics, the Boston Bruins, the Boston Marathon, TD Garden and the New England Patriots. The local JetBlue team has also contributed thousands of hours to support numerous community organizations in the greater Boston area. Top Copyright Photo: JetBlue Airways Airbus A321-231 WL N969JT (msn 7353) (Prism) LAX (Michael B. Ing). Image: 945820. This entry was posted in JetBlue Airways and tagged Airbus A321-231 WL, BOS, Boston, JetBlue Airways, msn 7353, N969JT on February 28, 2019 by Bruce Drum.